Liczba stron: 594 Jest to ujednolicona liczba stron, która ułatwi Ci porównanie długości książek. Każda strona Legimi to 200 słów. “The family of Dashwood had long been settled in Sussex. Their estate was large, and their residence was at Norland Park, in the centre of their property, where, for many generations, they had lived in so respectable a manner as to engage the general good opinion of their surrounding acquaintance. The late owner of this estate was a single man, who lived to a very advanced age, and who for many years of his life, had a constant companion and housekeeper in his sister. But her death, which happened ten years before his own, produced a great alteration in his home; for to supply her loss, he invited and received into his house the family of his nephew Mr. Henry Dashwood, the legal inheritor of the Norland estate, and the person to whom he intended to bequeath it. In the society of his nephew and niece, and their children, the old Gentleman's days were comfortably spent. His attachment to them all increased. 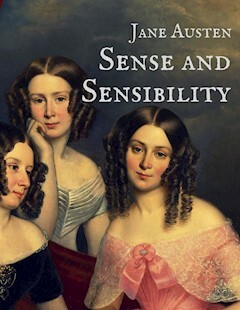 The constant attention of Mr. and Mrs. Henry Dashwood to his wishes, which proceeded not merely from interest, but from goodness of heart, gave him every degree of solid comfort which his age could receive; and the cheerfulness of the children added a relish to his existence.” “Sense and Sensibility” by Jane Austen was first published in 1811. The story of the Dashwood sister has many times been adapted for stage and film. “Sense and Sensibility” marked a great success for Jane Austen. Some mothers might have encouraged the intimacy from motives of interest, for Edward Ferrars was the eldest son of a man who had died very rich; and some might have repressed it from motives of prudence, for, except a trifling sum, the whole of his fortune depended on the will of his mother. But Mrs. Dashwood was alike uninfluenced by either consideration. It was enough for her that he appeared to be amiable, that he loved her daughter, and that Elinor returned the partiality. It was contrary to every doctrine of hers that difference of fortune should keep any couple asunder who were attracted by resemblance of disposition; and that Elinor's merit should not be acknowledged by every one who knew her, was to her comprehension impossible. "Perhaps," said Marianne, "I may consider it with some surprise. Edward is very amiable, and I love him tenderly. But yet—he is not the kind of young man—there is something wanting—his figure is not striking; it has none of that grace which I should expect in the man who could seriously attach my sister. His eyes want all that spirit, that fire, which at once announce virtue and intelligence. And besides all this, I am afraid, Mama, he has no real taste. Music seems scarcely to attract him, and though he admires Elinor's drawings very much, it is not the admiration of a person who can understand their worth. It is evident, in spite of his frequent attention to her while she draws, that in fact he knows nothing of the matter. He admires as a lover, not as a connoisseur. To satisfy me, those characters must be united. I could not be happy with a man whose taste did not in every point coincide with my own. He must enter into all my feelings; the same books, the same music must charm us both. Oh! mama, how spiritless, how tame was Edward's manner in reading to us last night! I felt for my sister most severely. Yet she bore it with so much composure, she seemed scarcely to notice it. I could hardly keep my seat. To hear those beautiful lines which have frequently almost driven me wild, pronounced with such impenetrable calmness, such dreadful indifference!" "Nay, Mama, if he is not to be animated by Cowper!—but we must allow for difference of taste. Elinor has not my feelings, and therefore she may overlook it, and be happy with him. But it would have broke MY heart, had I loved him, to hear him read with so little sensibility. Mama, the more I know of the world, the more am I convinced that I shall never see a man whom I can really love. I require so much! He must have all Edward's virtues, and his person and manners must ornament his goodness with every possible charm." Elinor could not help laughing. "Excuse me," said she; "and be assured that I meant no offence to you, by speaking, in so quiet a way, of my own feelings. Believe them to be stronger than I have declared; believe them, in short, to be such as his merit, and the suspicion—the hope of his affection for me may warrant, without imprudence or folly. But farther than this you must not believe. I am by no means assured of his regard for me. There are moments when the extent of it seems doubtful; and till his sentiments are fully known, you cannot wonder at my wishing to avoid any encouragement of my own partiality, by believing or calling it more than it is. In my heart I feel little—scarcely any doubt of his preference. But there are other points to be considered besides his inclination. He is very far from being independent. What his mother really is we cannot know; but, from Fanny's occasional mention of her conduct and opinions, we have never been disposed to think her amiable; and I am very much mistaken if Edward is not himself aware that there would be many difficulties in his way, if he were to wish to marry a woman who had not either a great fortune or high rank." No sooner was her answer dispatched, than Mrs. Dashwood indulged herself in the pleasure of announcing to her son-in-law and his wife that she was provided with a house, and should incommode them no longer than till every thing were ready for her inhabiting it. They heard her with surprise. Mrs. John Dashwood said nothing; but her husband civilly hoped that she would not be settled far from Norland. She had great satisfaction in replying that she was going into Devonshire.—Edward turned hastily towards her, on hearing this, and, in a voice of surprise and concern, which required no explanation to her, repeated, "Devonshire! Are you, indeed, going there? So far from hence! And to what part of it?" She explained the situation. It was within four miles northward of Exeter. Mr. John Dashwood told his mother again and again how exceedingly sorry he was that she had taken a house at such a distance from Norland as to prevent his being of any service to her in removing her furniture. He really felt conscientiously vexed on the occasion; for the very exertion to which he had limited the performance of his promise to his father was by this arrangement rendered impracticable.— The furniture was all sent around by water. It chiefly consisted of household linen, plate, china, and books, with a handsome pianoforte of Marianne's. Mrs. John Dashwood saw the packages depart with a sigh: she could not help feeling it hard that as Mrs. Dashwood's income would be so trifling in comparison with their own, she should have any handsome article of furniture. Mrs. Dashwood took the house for a twelvemonth; it was ready furnished, and she might have immediate possession. No difficulty arose on either side in the agreement; and she waited only for the disposal of her effects at Norland, and to determine her future household, before she set off for the west; and this, as she was exceedingly rapid in the performance of everything that interested her, was soon done.—The horses which were left her by her husband had been sold soon after his death, and an opportunity now offering of disposing of her carriage, she agreed to sell that likewise at the earnest advice of her eldest daughter. For the comfort of her children, had she consulted only her own wishes, she would have kept it; but the discretion of Elinor prevailed. HER wisdom too limited the number of their servants to three; two maids and a man, with whom they were speedily provided from amongst those who had formed their establishment at Norland. Many were the tears shed by them in their last adieus to a place so much beloved. "Dear, dear Norland!" said Marianne, as she wandered alone before the house, on the last evening of their being there; "when shall I cease to regret you!—when learn to feel a home elsewhere!—Oh! happy house, could you know what I suffer in now viewing you from this spot, from whence perhaps I may view you no more!—And you, ye well-known trees!—but you will continue the same.—No leaf will decay because we are removed, nor any branch become motionless although we can observe you no longer!—No; you will continue the same; unconscious of the pleasure or the regret you occasion, and insensible of any change in those who walk under your shade!—But who will remain to enjoy you?" As a house, Barton Cottage, though small, was comfortable and compact; but as a cottage it was defective, for the building was regular, the roof was tiled, the window shutters were not painted green, nor were the walls covered with honeysuckles. A narrow passage led directly through the house into the garden behind. On each side of the entrance was a sitting room, about sixteen feet square; and beyond them were the offices and the stairs. Four bed-rooms and two garrets formed the rest of the house. It had not been built many years and was in good repair. In comparison of Norland, it was poor and small indeed!—but the tears which recollection called forth as they entered the house were soon dried away. They were cheered by the joy of the servants on their arrival, and each for the sake of the others resolved to appear happy. It was very early in September; the season was fine, and from first seeing the place under the advantage of good weather, they received an impression in its favour which was of material service in recommending it to their lasting approbation.